Welcome to the crazy planet we call home, Pearl! Now I got all emotional about this baby’s birth and I shall tell you why: Baby Pearl Christine was born to my niece Samantha, on 21st December, and that happened EXACTLY 100 years to the day that my lovely, adorable, funny Mum was born! (she died 4 years ago. She had me at age 45 so Im not the old fogie you might envisage!!) Anyway this made me all misty eyed and emotional, but what a wonderful, wonderful thing to happen, and I and my sisters are SO happy about it! Oh, and Mum and baby are just great, even though my poor girl had to have a C Section. 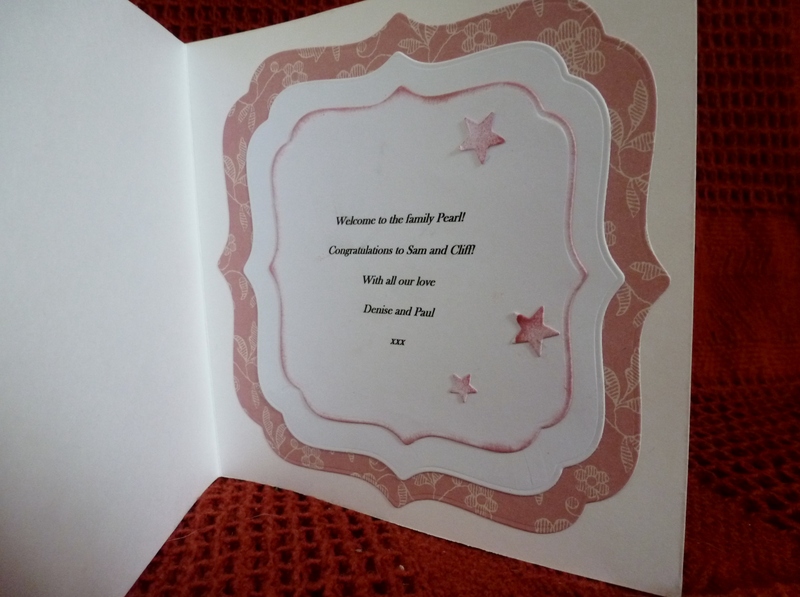 So heres the baby card I sent her. 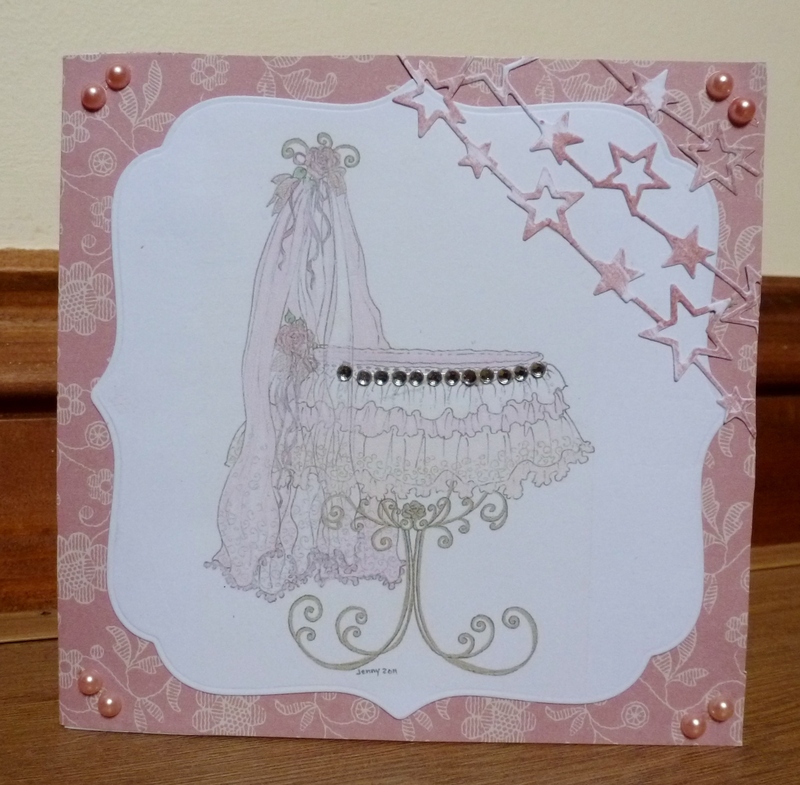 A beautiful card for a beautiful special baby!